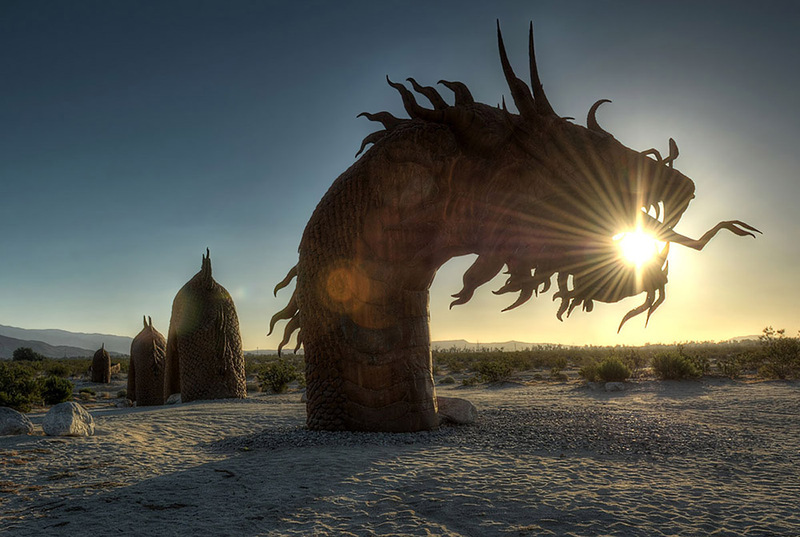 Taken Saturday morning in Borrego Springs, CA, this is a 7 image HDR with a little creative editing thrown in also. This and other metal sculptures were commissioned by Dennis Avery and are located throughout the town on his trust's various land holdings. This is the most exquisite one - many of the others are of actual animals, like dinosaurs, elephants and horses. Although I really like this photo I feel the main focus of this is the sun. 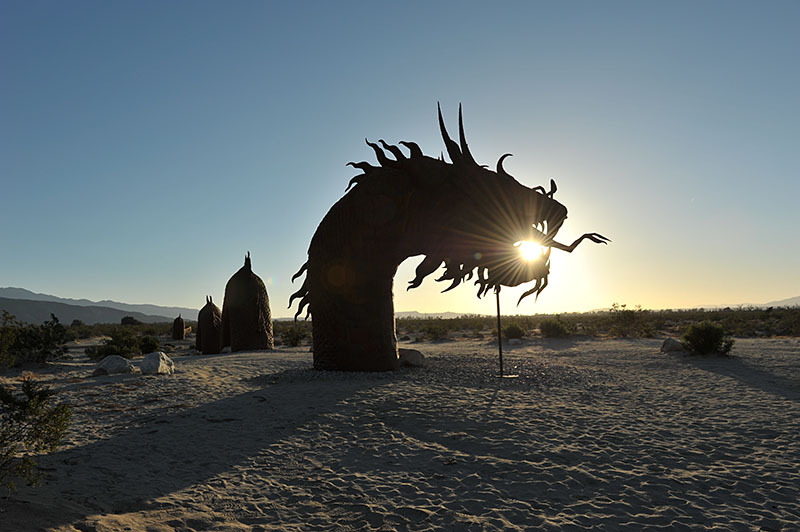 If that's what you were going for you nailed it but you titled the photo sand dragon so if that's what you want people to notice first then maybe you could have made the sun less overpowering and the silhouette of the dragon stronger. But, I'm still a rookie in the photography world, I don't think I could have pulled off this shot as well as you. AAGP - Interesting viewpoint. I didn't think the sun was the main focal point, but maybe it is. Just taking a regular picture of the dragon would be too straightforward/mundane I think, so wanted to spice it up somehow. btw, the first post is an HTR. The original shots are mostly silhouettes; good in their own way. I attach one here, without editing. I am happy to think this accumulation rale reusable for me, as it contains lot of content. I ever further to simulation the evaluation noesis and this event I recovered in you communicator. I like the way the HDR has bought out the shadow detail without being over the top. Nice composition but it looks like its listing to port a bit. Thanks Pete. I see the list you mention :\ I'll be out there again in a couple of weeks and will try an all-night exposure to get the stars swirling behind this beastie. I tried that before but the near full moon may have ruined it (tried on two film cameras, haven't developed the film yet). I think it works at an artistic level. The radiant sun goes well with the dragon. Agreed. I like the sun and personally love this photo.